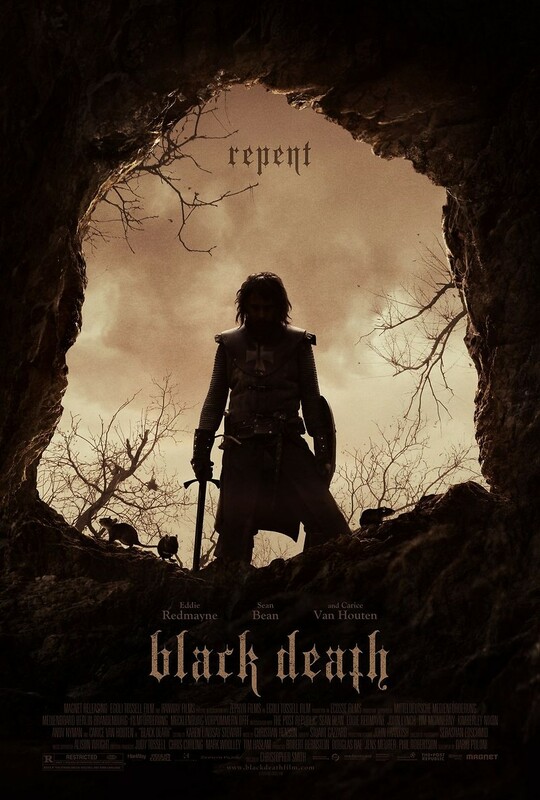 Black Death DVD and Blu-ray release date was set for May 10, 2011. In 1348, the English countryside is ravaged by the bubonic plague, and Osmund, a young novice monk, is torn between his love for the beautiful Averill and his commitment to the Church. Recruited to join a group of soldiers investigating rumors of necromancy in a remote village, Osmund takes comfort in Averill's promise to remain hidden in a place where she will be safe from infection. On the journey to the village, Osmund slips away to meet Averill, but he only finds her scarf. Devastated, he continues on his journey. When the group reaches the village, they find people who have turned from the ways of the Church. The village leaders tempt Osmund by offering to return his heart's desire to him if he renounces his faith.